We are now half way through the winter. How has it’s been for you? Enough snow and ice? Or rain? Or just simply had enough? For me now the winter blues strikes, Christmas long gone and no spring in sight yet. Not much to do then playing with beads! 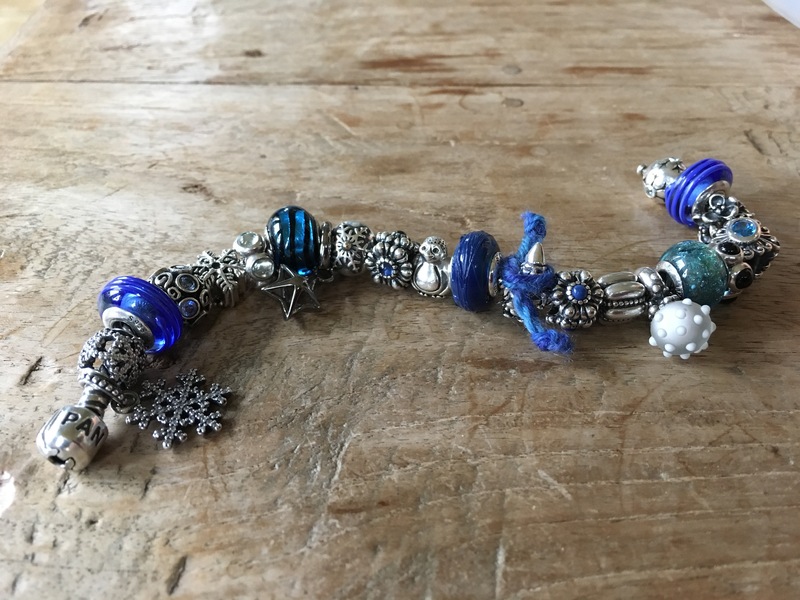 Last winter I started a blue bracelet. 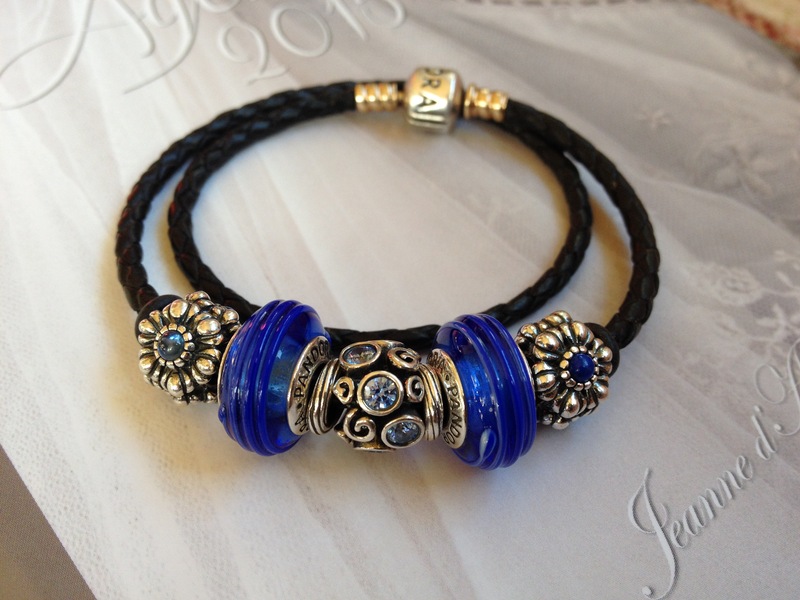 I already had some blue beads I wore on a leather bracelet. 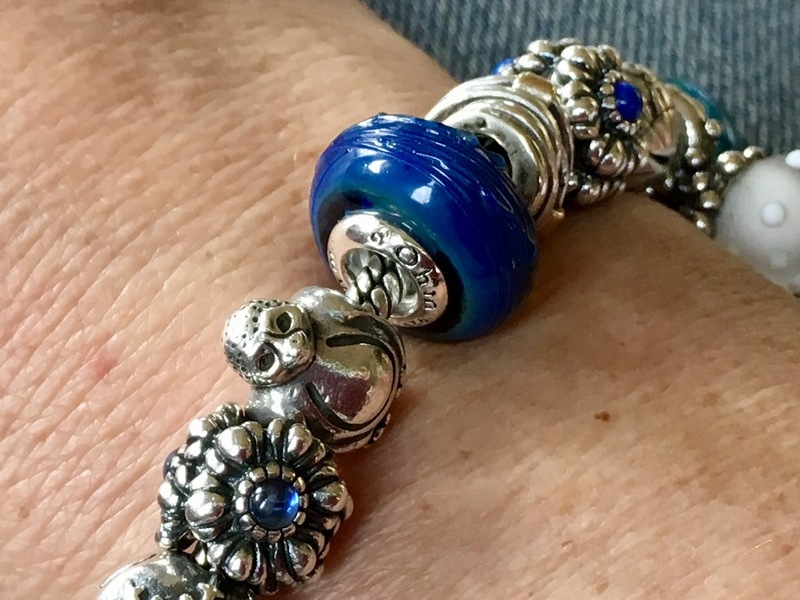 From my Pandora collecting days I had two ribbon muranos, two September birthday blooms, one sapphire and one lapis and the Blue Primrose Path! 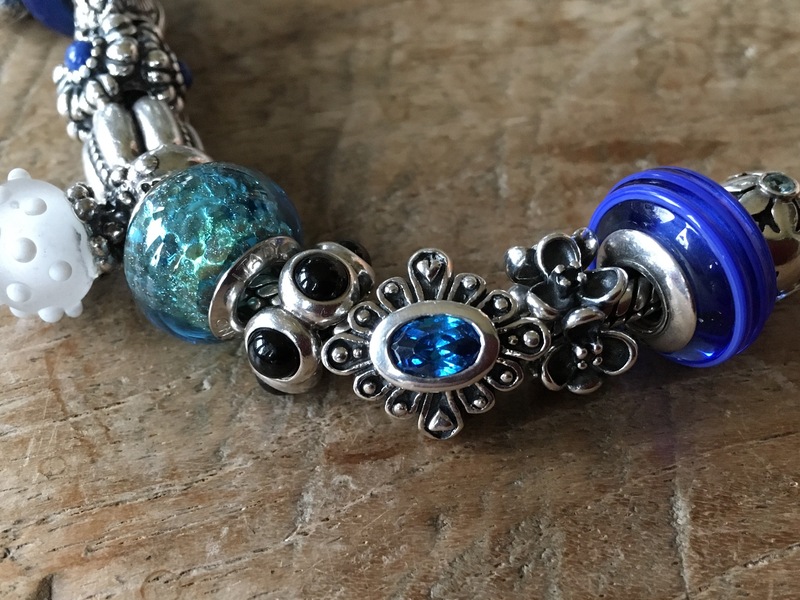 When I found a Pandora Topaz cabochon, I threw in the winter beads I had from my Christmas bracelet, a pinguin and a blue sea glass bead and started the bracelet. 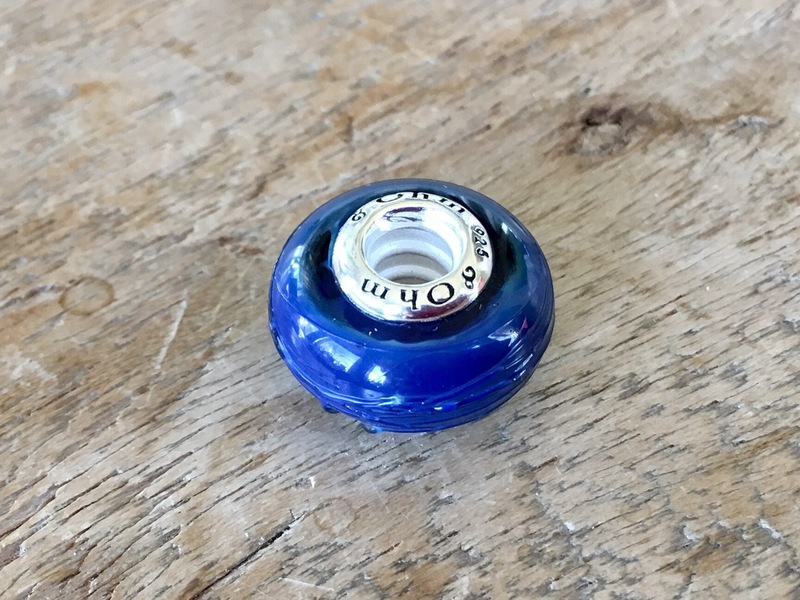 There were two beads I had my eye on for some time and now I had a spot for them, so I ordered them right away! 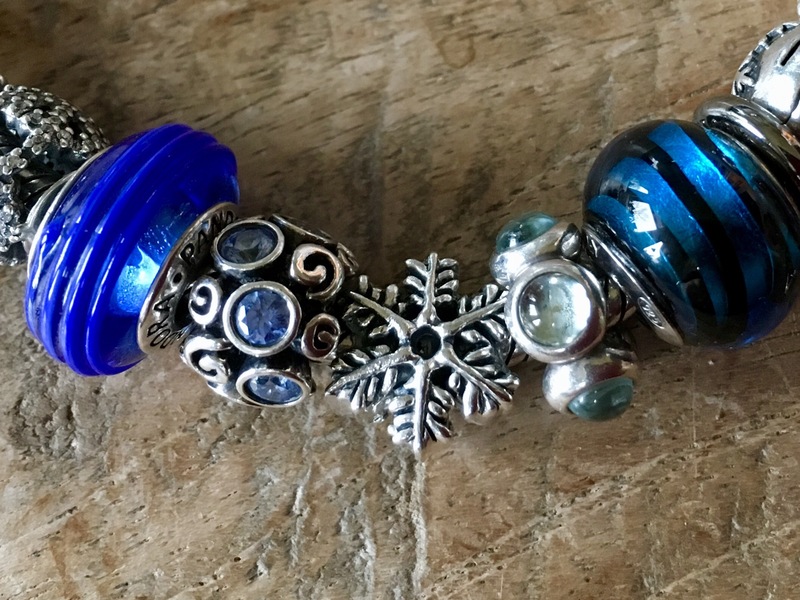 Ohm beads Sugar Sleigh Ride and the gorgeous Rococo. I added Ohm beads Turkey Platter, Same But Eaten and Deadhead. 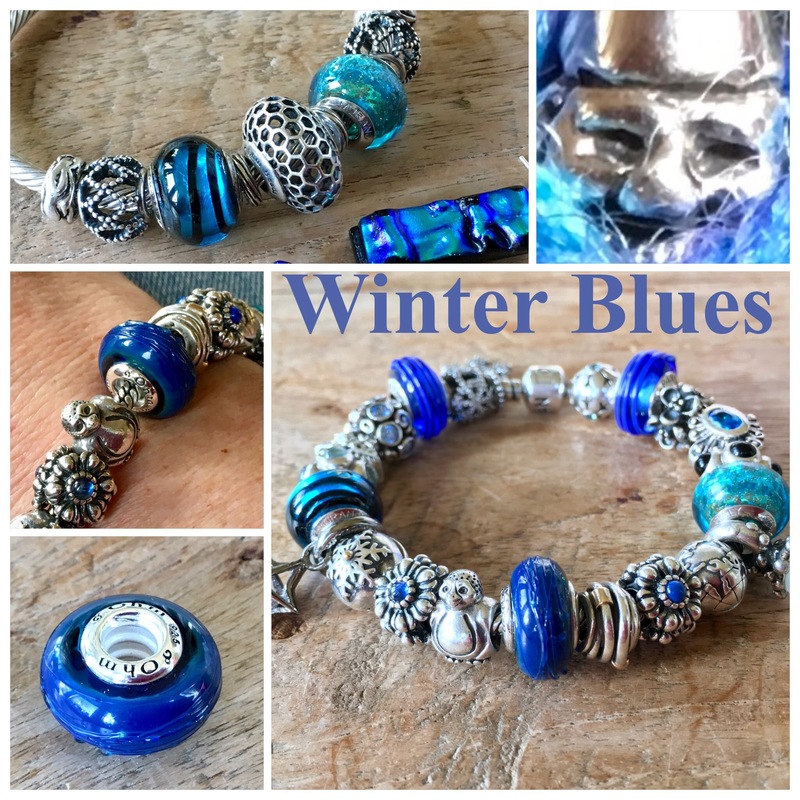 A gorgeous Winter Blues bracelet I wore for some time! 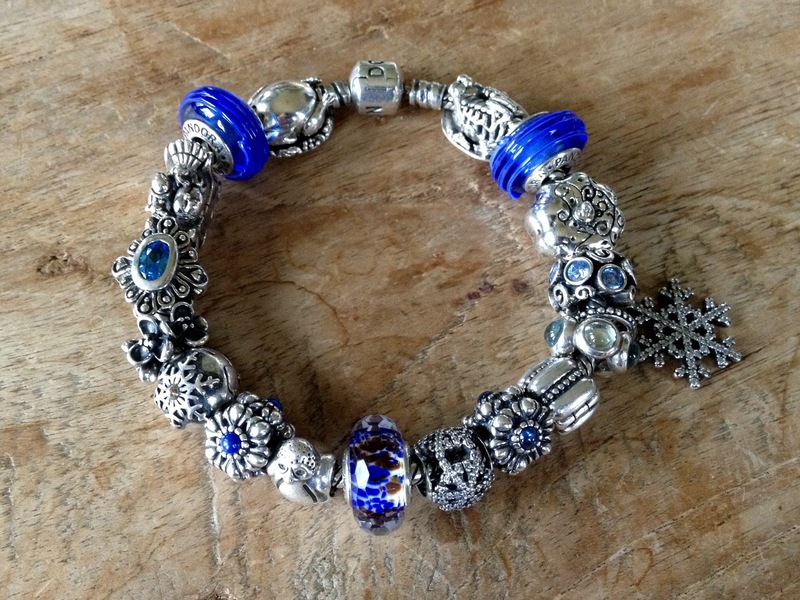 But when I removed the Ohm Haloween and Thanksgiving beads this autumn I had to redesign this bracelet. 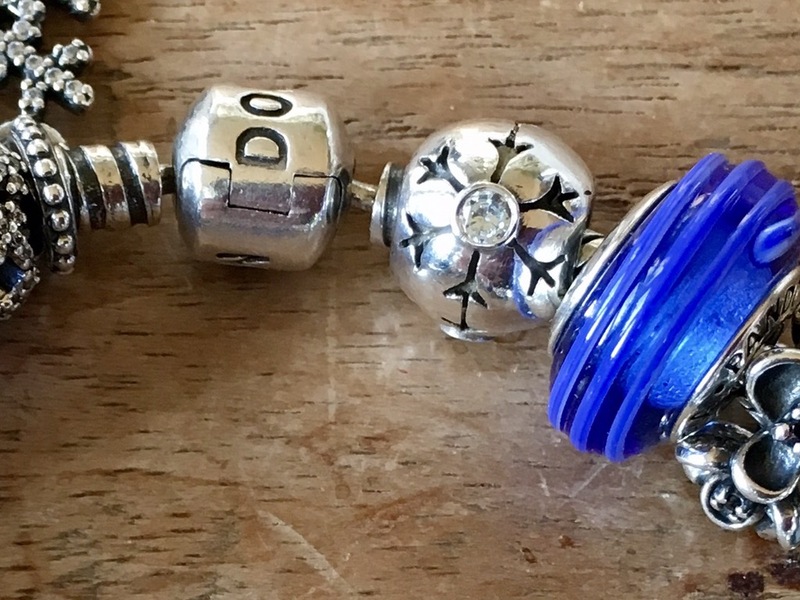 My husband brought these two beautiful beads from Gent Belgium. 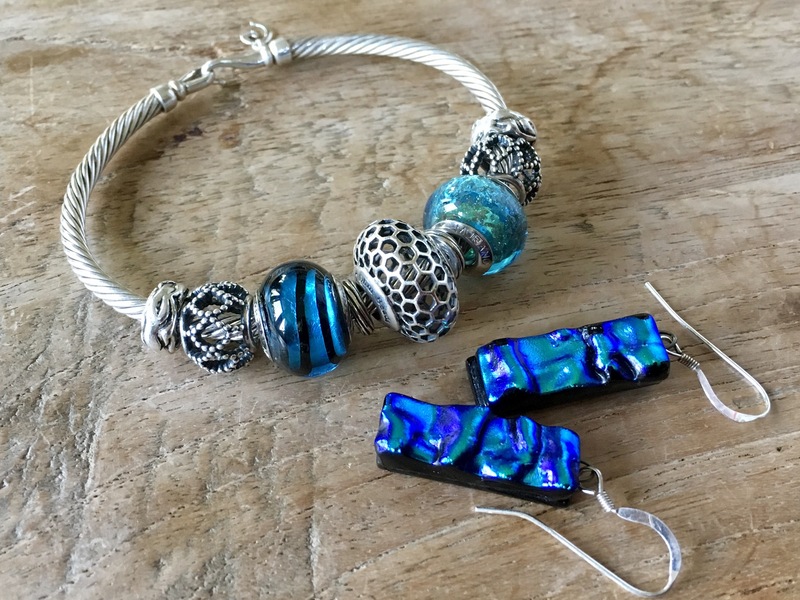 They are Murano from Italy. 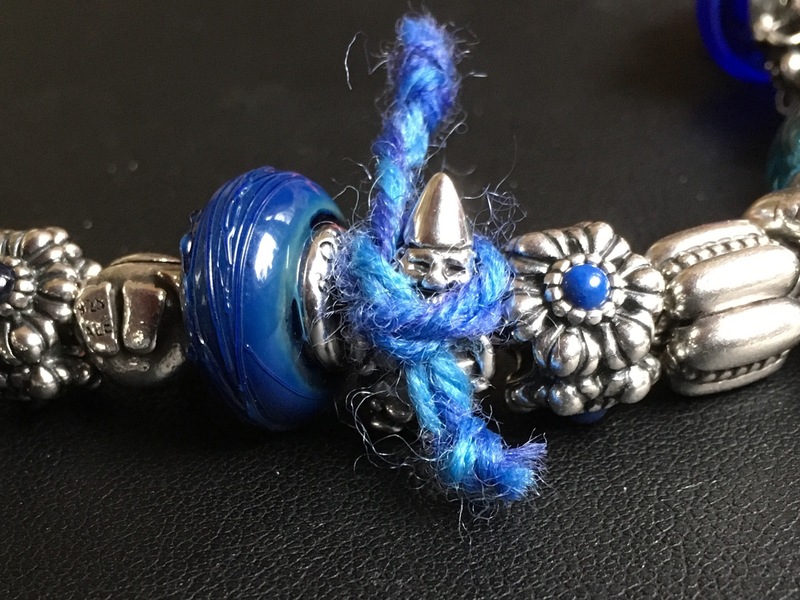 I took Trollbeads Winter I bought in Copenhagen and Rodium Stellar Star from Story by Kranz & Ziegler. And the Ohm beads snowflake I got for my Christmas/winter stack. 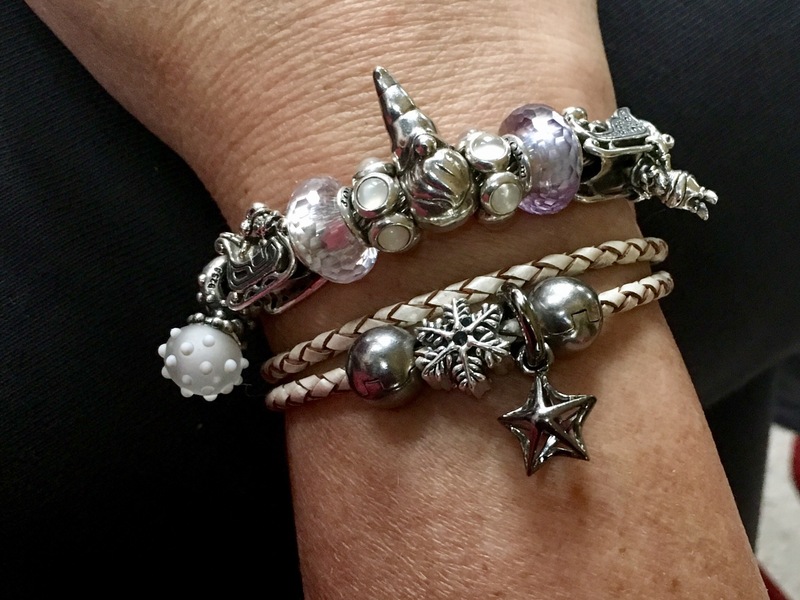 Added this gorgeous Pandora snowflake. 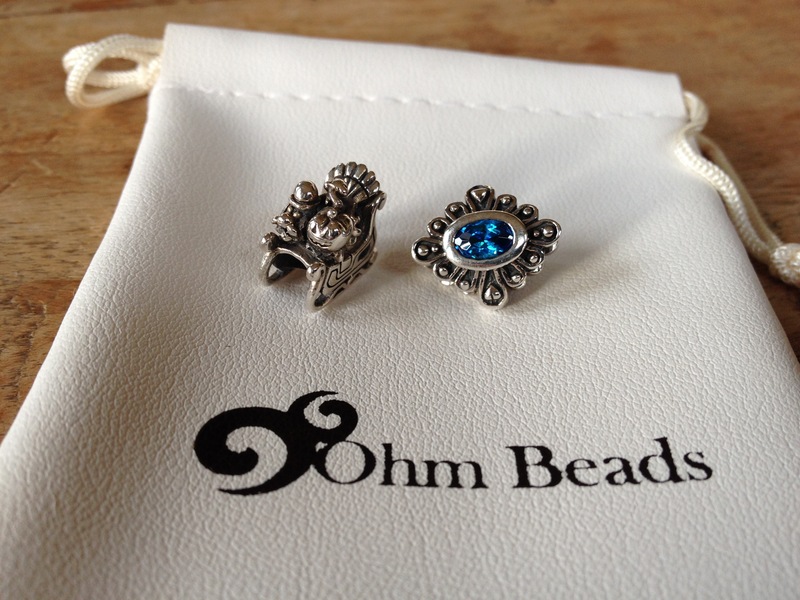 Happy I found this beautiful limited edition made by an American artist Ohm beads Winter Frost. Added some black beads, they are for the long winter nights. I ran into a problem when I wanted to finish this bracelet. 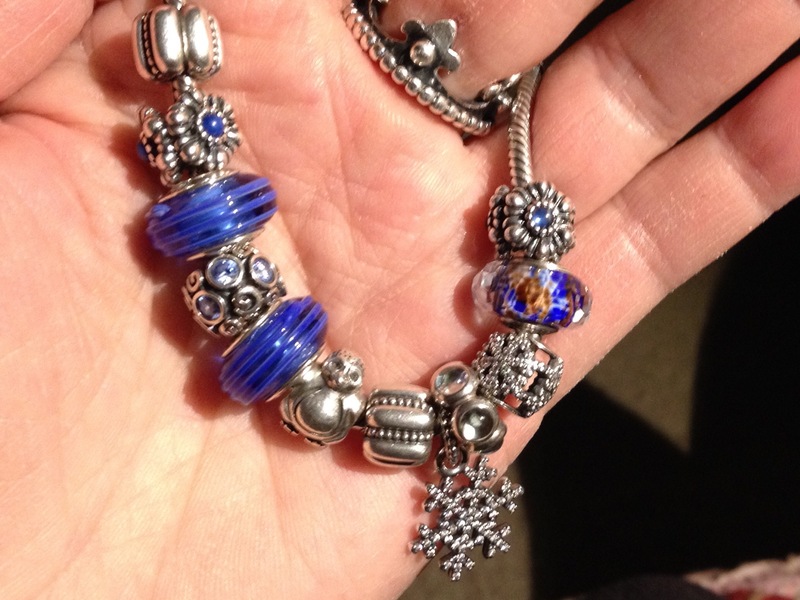 The Pandora snowman I ordered decided not to show up for the photo shoot. Luckily Ohmgnome kindly offered to stand in! He posed pacient for many pictures, but got very cold at the end! So I made him a scarf to stay warm. 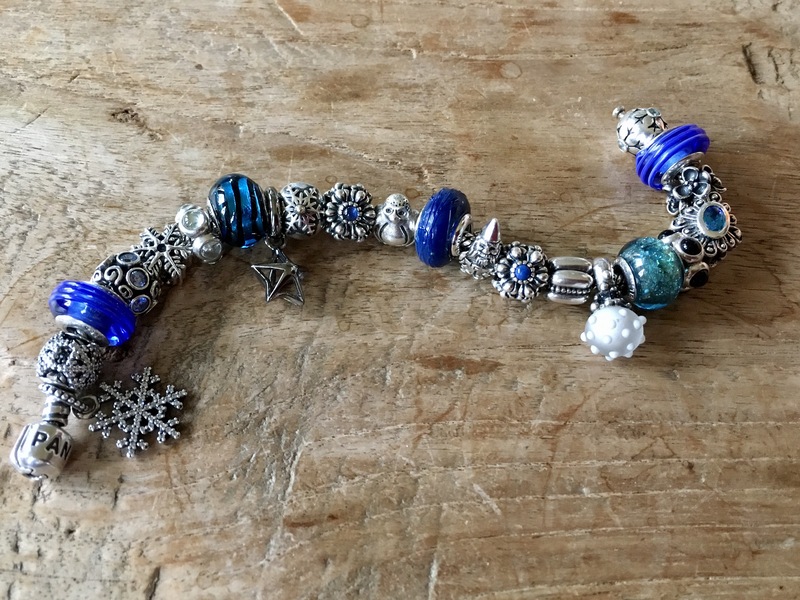 So I completed my Winter Blues bracelet again (with a little help). I am very happy with this, but cannot wait for spring to begin! Thank you! Yes Ohmgnome was such a great sport!